IKEA screams REDRUM in new Halloween ad. BBH Singapore hits the ball out of the park in its new ad for IKEA, spoofing Stanley Kubrik’s masterpiece The Shining in a beautifully directed video that recreates Danny’s cycling through the halls of the Overlook Hotel in an apparently deserted and darkened IKEA store. The pay-off is that the store is now open until 11pm every night, thus allowing its shoppers to buy colourful plastic trinkets and Scandinavian metal-band sounding furniture late into the night. It might not be the most creative of concepts, but the execution is flawless and the several blink-and-miss details scattered along the video, including the silly pun at the very end, hit the spot for us Kubrik fans. BBC’s existentialist website “Your life on Earth” puts your life into perspective. Have you ever wondered how many times your heart has beaten since you were born (1 billion), how many generations of house flies have birthed since then (18,648), how many major earthquakes have there been (385) or how much the Antarctic ozone hole has increased (21 million km2)? Well, BBC’s stylish new website “Your Life on Earth” will tell you all this and a whole lot more. I’m a sucker for both statistics and random trivia, and to have so much of it put into perspective while using my birth date as reference totally tickles the more existentialist fibres in my body. The fact that the website is beautifully designed, completely responsive and as fun as it is insightful only adds to the experience. 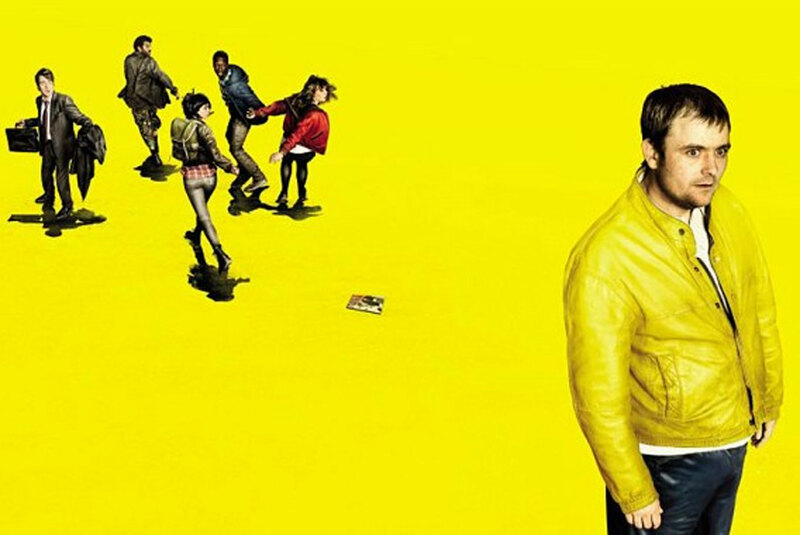 Channel 4 has cancelled Utopia. Mr. Rabbit refuses to comment. You know Utopia, that wonderfully original British TV show everyone loves? I’m pretty sure the storyline will continue in some form or another, most likely a comic book series or graphic novel as that would be exactly as meta as a IP as Utopia should be, but I have to admit I’m quite saddened with this piece of news. I follow and watch around a dozen TV Shows (at least), but there are only a handful of them that I truly consider myself a fan of. Utopia is, sorry, was, one of them. Whatsapp and Facebook biggest IM’s in most countries. In a very helpful and insightful chart, WikiBrains shows us that Whatsapp and Facebook are the leading Instant Messaging platforms in most countries, thus surprising exactly no one. Also not surprising at all: Line rules in Japan, Greece, the Ukraine and Mother Russia still think Vibe is hip, Hangouts is nowhere to be seen and the 1.3 billion Chinese using something no one else has ever heard about. Videogames are awesome (and infuriatingly frustrating). I like videogames. A lot. Really, quite a lot. But sometimes, more often than I’d like to admit, they drive me completely bonkers with frustration. Now BuzzFeedPop has boiled down some of these infuriating moments in an awesome video aptly titled “The 50 Most Frustrating Moments In Videogames” and I have to say, I’ve been through A LOT of them. It’s an amusing little video and it sure brings out some cherished, and not so cherished, memories. So, if you’re a videogame nut like me, watch it, like it, share it.